One of my favorite parts of our local farmer's market are the beautiful bouquets. Even though they are great prices, I still had issues buying them in the past because they never really lasted very long. Yesterday I decided to get some sunflowers. I love a simple, one type bouquet, so I chose five to put together in a vintage pitcher. 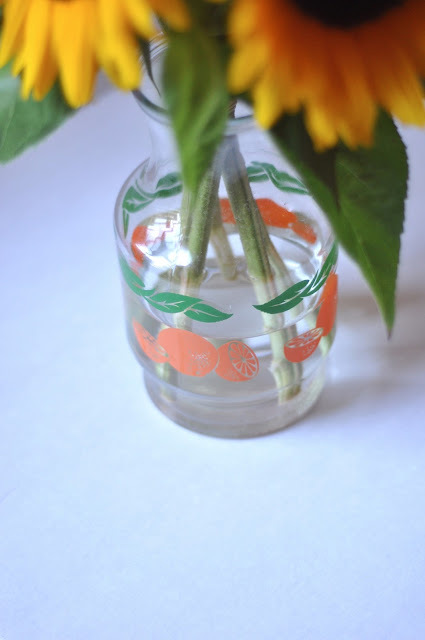 I searched some ways to preserve my bouquet for as long as possible (I want them to last for a party I'm throwing on Saturday). I searched through various sites for tips and came up with several that I put together for this post. First // Pick a vase that fits your bouquet and scrub it clean to get rid of any bacteria. 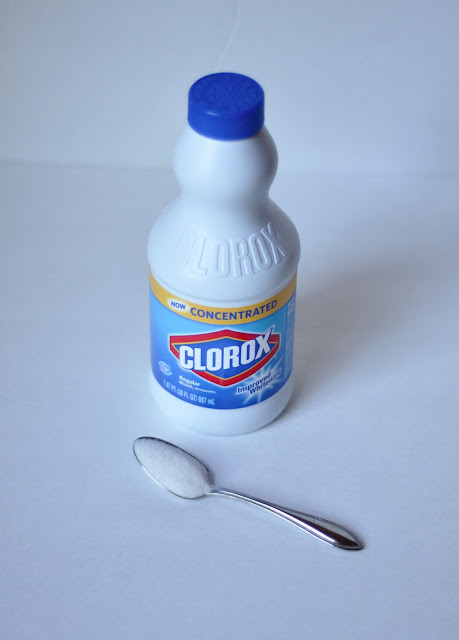 Second // Fill the vase as you feel necessary and add 3 drops of bleach and one teaspoon of sugar for every liter of water. Third // Fill new water (with bleach and sugar) once you see it gets cloudy. Also clip the ends of your flowers, at an angle, every couple of days. 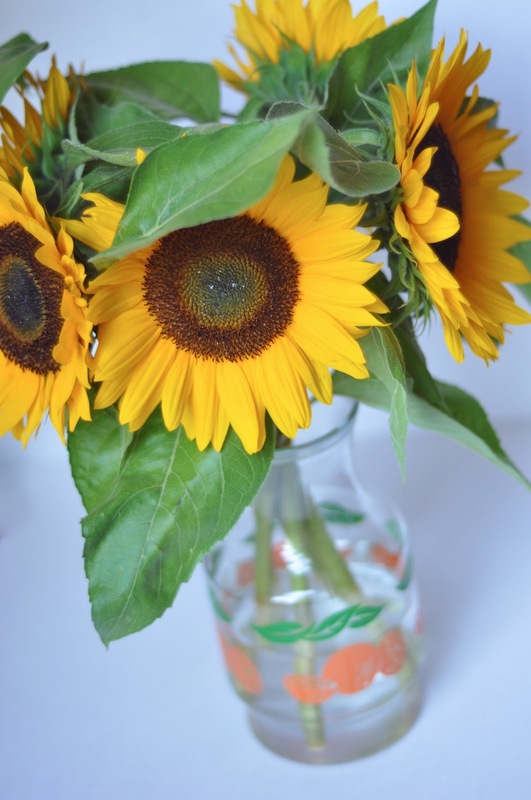 My sunflowers are on day two of their vase-d life, and so far they are still looking great! I love Sunflowers! So pretty!